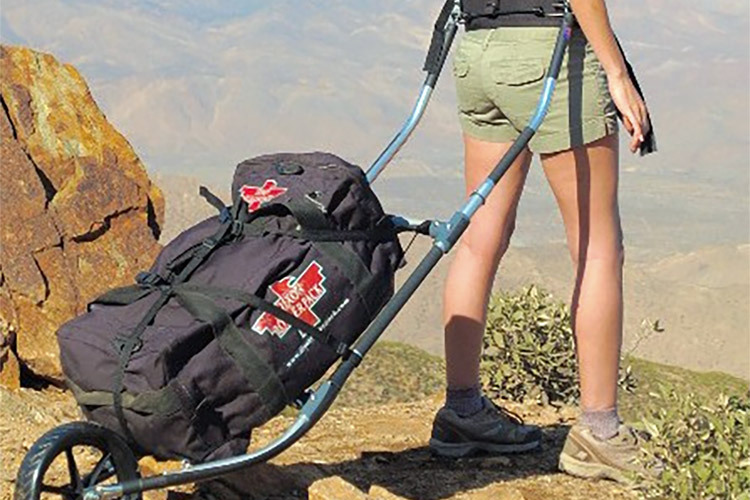 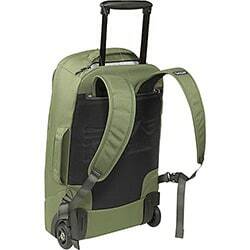 A colapsed Pack Wheel strapped to a backpack. 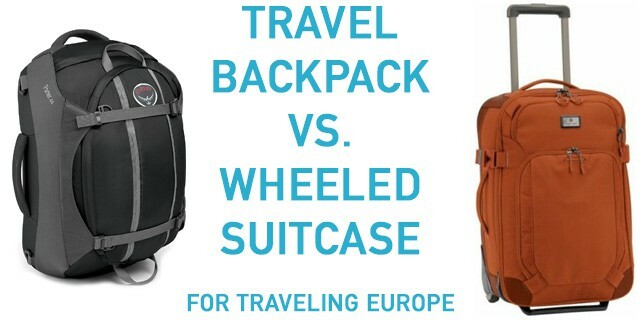 Backpacking with bicycle panniers on a Pack Wheel… or is it really backpacking? 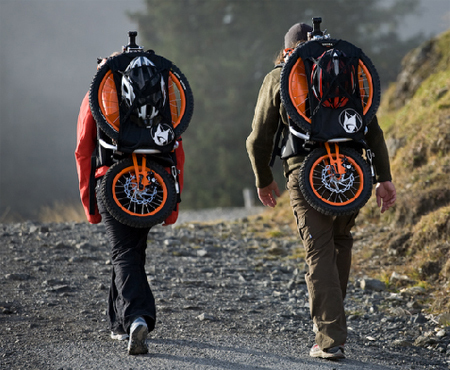 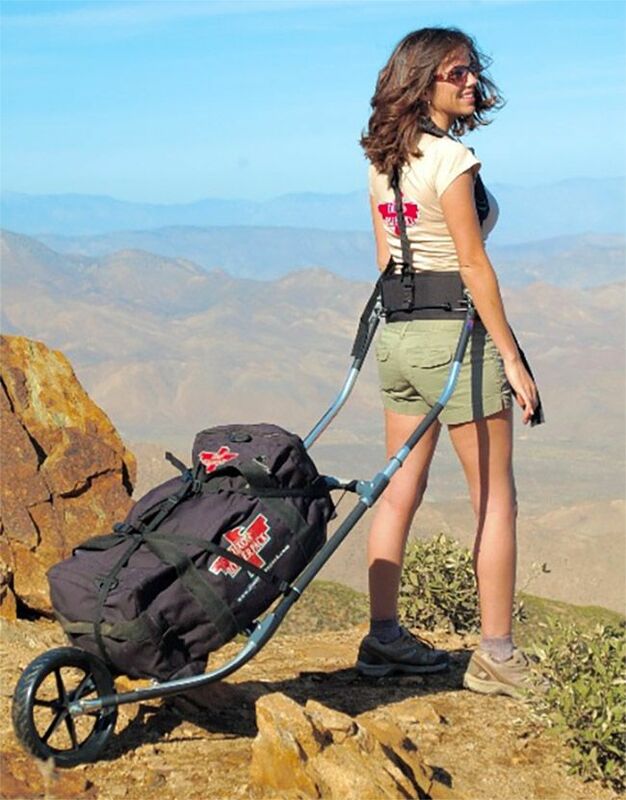 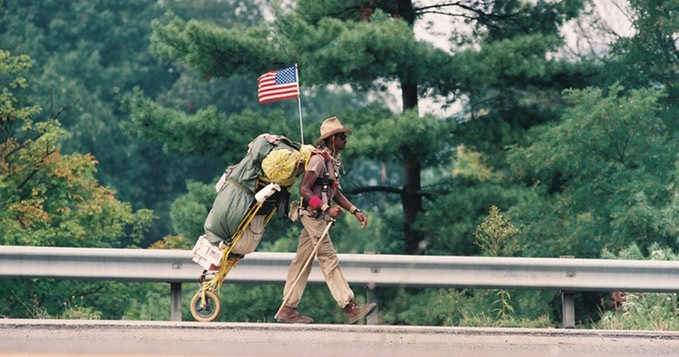 Maybe hiking with a Pack Wheel or… maybe Packwheeling. 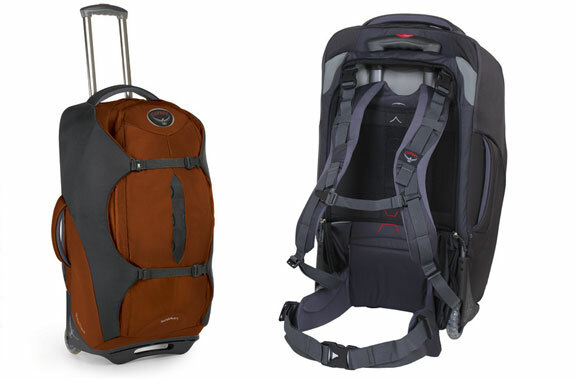 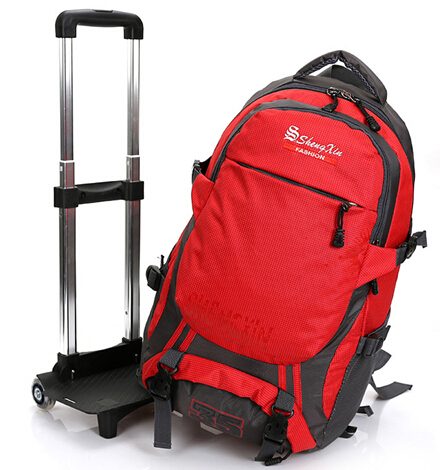 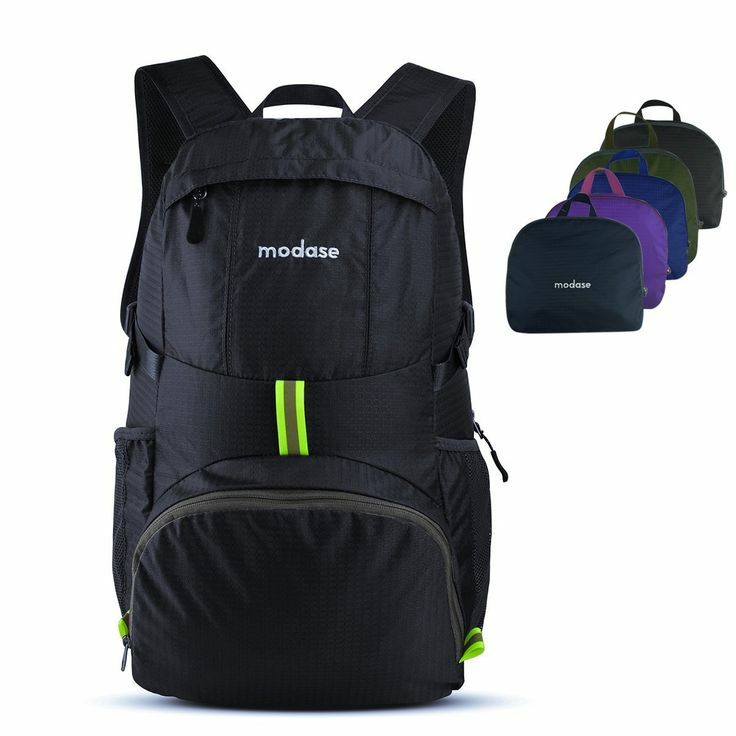 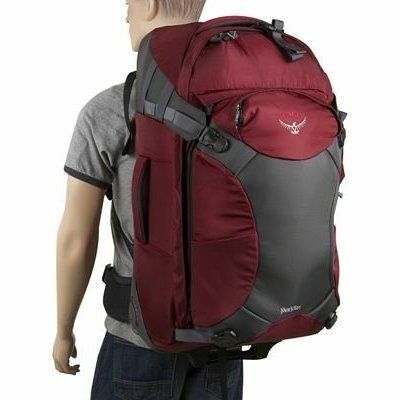 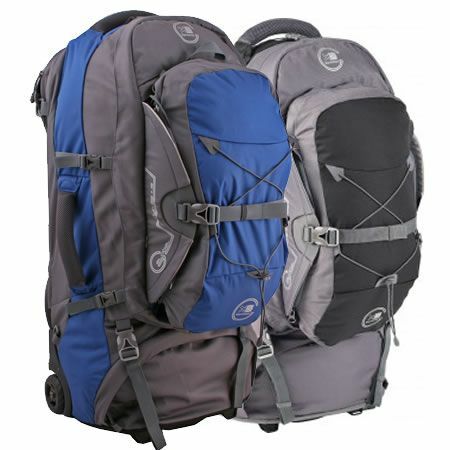 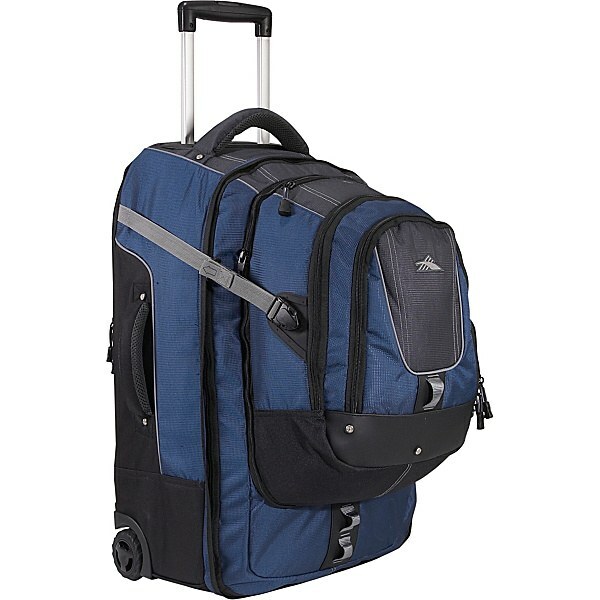 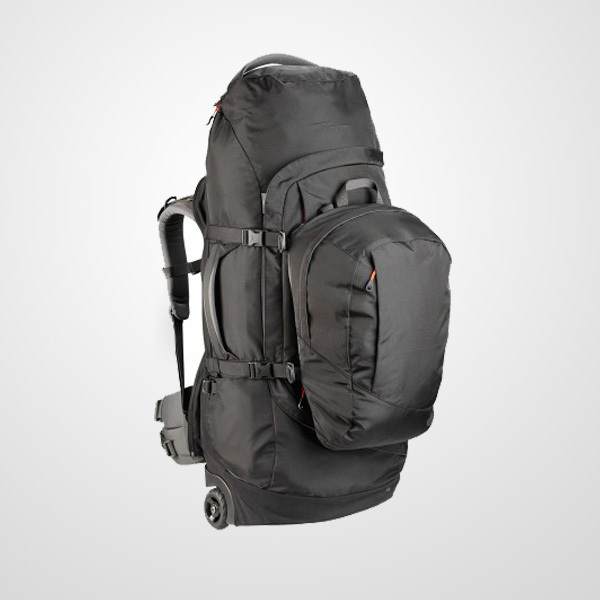 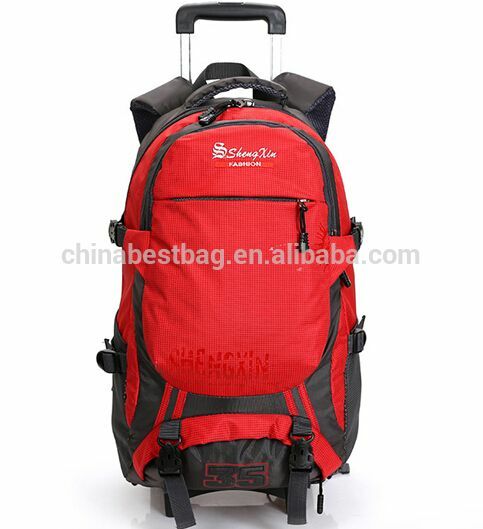 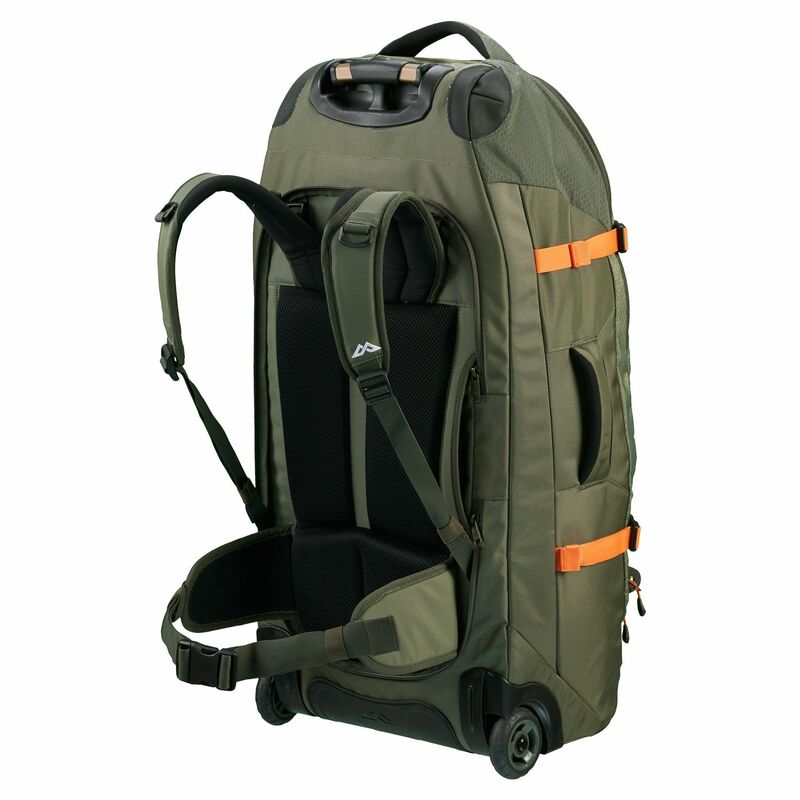 For convenience, comfort and smart travelling I use a combined rucksack with wheels that comes with a detachable backpack.